EExperience good fly-fishing for yellowfish in the rivers around Kimberley, which boast abundant, stable populations of indigenous largemouth and smallmouth species. Fly-fishing here will lure you back time and again as you absorb the evocative game-rich environment while casting for record catches. If you want to know about fly-fishing in the rivers near Kimberley, speak to Turner Wilkinson, who has been fly-fishing for nearly 30 years and who is one of only 15 people who have taken all nine yellowfish species on the fly. FFly-fishing for the indigenous yellowfish in South Africa started during the South African War (also known as the Anglo-Boer War) when English soldiers caught this gamefish on fly. "The yellowfish populations in this part of the Northern Cape are arguably some of the finest in the country, with world-class catches to be had in the very clear waters of the lower Vaal and Riet rivers," explains Wilkinson, who is also an experienced fly-fishing guide. WWilkinson guides fly-fishers of all levels and decides on the best location to match their skills. "If you are a less proficient caster, we focus on the smallmouth yellowfish in the faster, flowing areas of the stream, where there are lots more fish. If you are a proficient caster and after a trophy fish, we head for the slower sections and pools where we can hunt the largemouth yellowfish, a worthy gamefish," he explains. When you talk international standards of trout, most people are happy with a fish of about 1.3kg (about three pounds), whereas the average smallmouth yellowfish in South Africa is around 2kg. The largemouth yellowfish is generally regarded as South Africa’s largest freshwater fish species, with trophies weighing more than 3kg. TThe catch-and-release ethic applies to all yellowfish to ensure the fish's long-term sustainability and conservation. A favourite fly-fishing location in the district is the Lilydale Rest Camp in the Mokala National Park, approximately 70km from Kimberley. A relatively new national park, Mokala offers several different habitats with wonderful birdlife and several species of game to enhance your fly-fishing adventure. This report analyses tourist arrivals to South Africa. 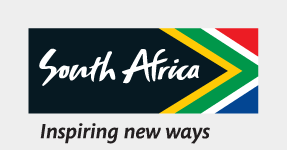 As part of a national effort to improve the quality of tourism statistics in South Africa, tourist arrivals, as opposed to visitor arrivals, is now been released. Please note that published figures exclude Transit tourist. This report analyses tourist arrivals to South Africa. As part of a national effort to improve the quality of tourism statistics in South Africa, tourist arrivals as opposed to visitor arrivals is now been released. Please note that published figures exclude Transit tourist.